Are any details known re this show for 2019 please? The organise advises against following a Satnav over the last half mile; instead, follow the signs for the Centre. Turn off the High Street where signposted and then follow that road until you see a statue on the right hand side. Here is a small selection of pictures. 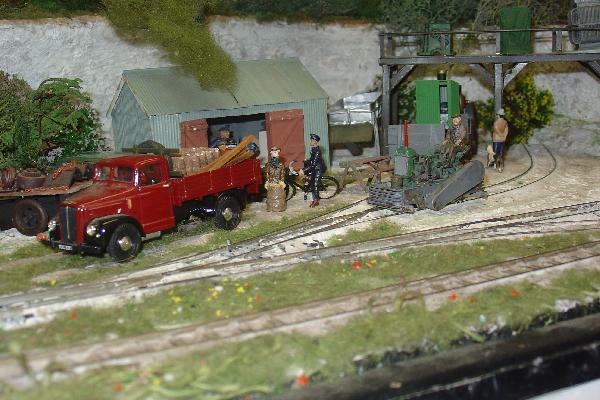 I liked this quarry scene in On30, particularly the tractor on a rail-motor chassis. There was another using a Yesteryear tank lorry which has provided me with ideas for a weed-killing speeder. 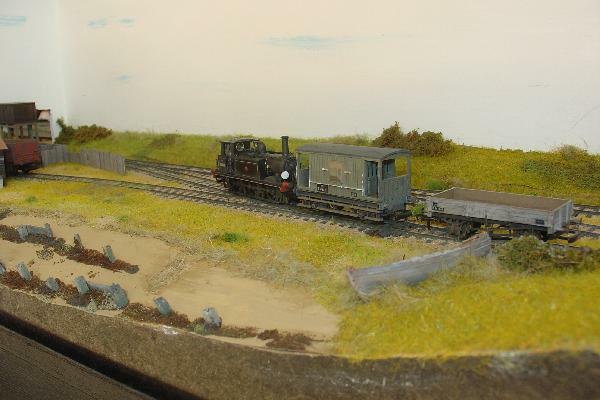 Kyle of Lochalsh as a fine-scale N gauge sub-micro layout. The owner builds architectural models, so the presentation (card pros-arch and wings) was immaculate. 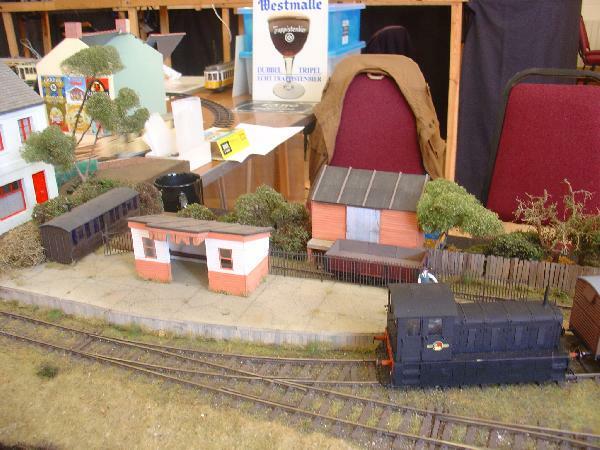 Two years ago Les Colman showed us his deeply rural O gauge light railway set in Essex. 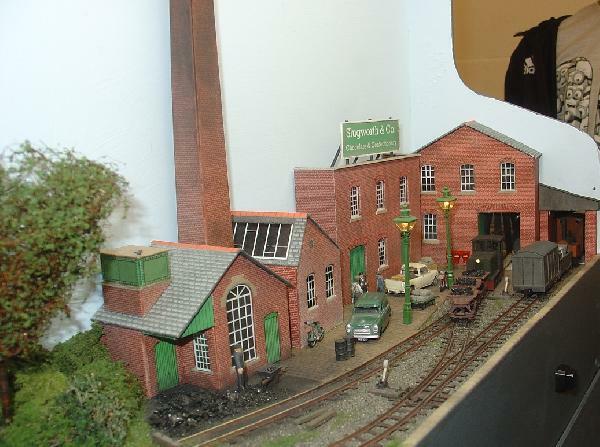 Since then it has turned into a German industrial scene - same baseboard and track, new buildings and rolling stock. Slugwell and Co was a back-to-back U-shaped pair of mini-scenes in 009, with a hidden link behind the scenes. Its very neat appearance had won the young builder a prize at a big NG show. Chris Ford's Durys Gap, a minimalist bit of the old LBSCR in its last days under BR with Chris's signature derelict light-industrial buildings. 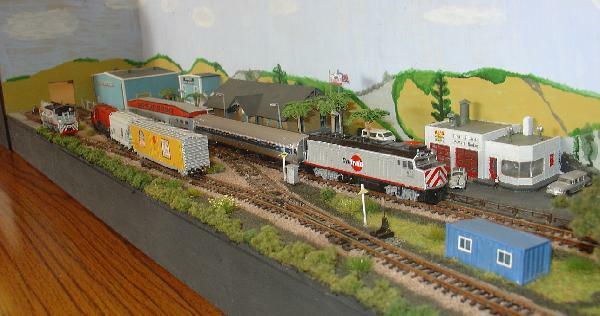 And finally, Ian Buck with a bit of Californian outer suburbia in N gauge. 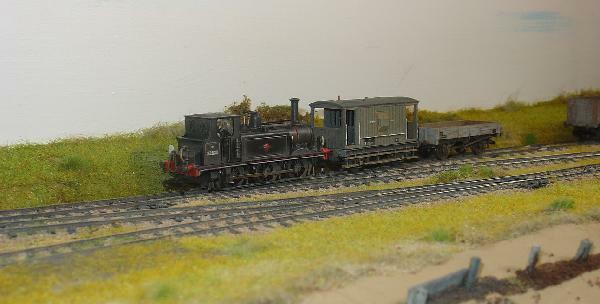 Two car push-pull units and a little light freight. After watching the slide show, you might enjoy the video entitled KLR Experiment which (at the moment) is the second clip in the News section of the website and features an unusual cab ride.